The evening before I went plummeting off of a ladder while hanging prom decorations, I painted my toe nails a creamy dusty rose pink-- Essie’s Eternal Optimist ($8). Originally, the shade was meant to add a soft, neutral color to my toes and complement the early 1960s outfit and makeup look I had selected for my chaperon duties (yes, I take such things seriously). Then I had my accident and the polish became emblematic of my experience and my recovery. Generally speaking, I am not an optimistic person; my mind usually skips to the worst case scenario right from the get go. Any time I get a paper cut I automatically think I am going to get a staph infection and lose my arm. I really don’t have a middle ground: I’m either doing well or on the verge of a tragic death. Since I am such a hypochondriac, it’s deeply ironic that at the time of my fall, the worst health crisis I have ever experienced, I was wearing Eternal Optimist on my tootsies. Strangely enough, despite suffering a catastrophic injury in the ankle region, there was absolutely no blood on my feet (maybe because my foot was bent in the opposite direction . . . ), in my shoes, or on my socks. 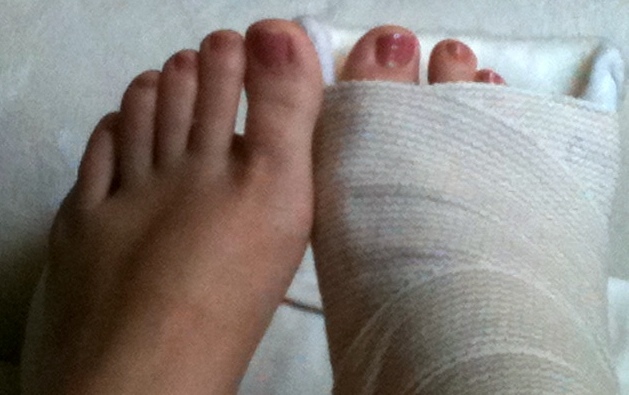 Similarly, after five days in the hospital and two surgeries, my pedicure was in tact. Two weeks after my accident, my toes are still painted Eternal Optimist-- my original pedicure. 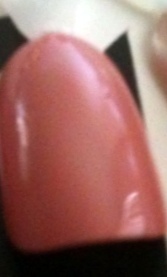 What is remarkable about Eternal Optimist, however, is not its longevity (though two weeks is incredible for a pedicure! ), but its symbolism for my recovery. There have been very few moments where I have felt sorry for myself or doubted that I would get better. On the contrary, I have thrown myself into the recovery process, learning the basics of orthopedic injuries, working out my recovery timeline, and generally taking an active role in my medical treatment. It’s easy to become dejected when you’re facing a health crisis, especially if you allow yourself to remain passive. Passivity is natural enough: when you don’t feel well, you certainly don’t want to advocate for taking your own medication from home or insist that you be prescribed a walker to take home-- but you have to press the point for your own good. Your best advocate for your own care and your own cause is you. Perhaps my pessimistic streak has been kept at bay by my tenacity and determination to get better, maybe it’s an elaborate form of self-denial. Whatever the case may be, I’m keeping calm and carrying on . . . and so is my pedicure!